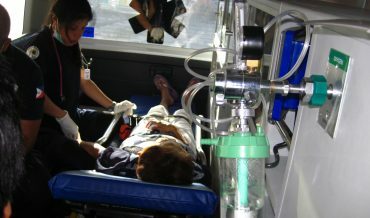 DAVAO – In the Philippines, emergency medical services have always been an extremely topic of interest. That is why EMS Asia 2018 is one of the most important emergency medical show in Asia. In the last years they always speak about the lack of a unique and common guideline to regulate the EMS in this country. Even if there is still not a law which gathers the norms of emergency medical systems in the whole island, Dr. Bernadett Pua Velasco, M.D., Philippine College of Emergency Medicine explained us that each Filipino commuity is working hard to build a local guideline up. In particular she stated that nowadays, in the Philippines, there is always a way to respond to an emergency situation efficiently, starting by the national emergency number. Dr. Velasco, you did participate to EMS Asia 2018, which is a point of meeting for Asian emergency professionals and not only! What is your opinion about this event? “EMS Asia conference is actually a biennial event that is under Asian Association of Emergency Medical Services or AAEMS. The goal of AAEMS is to improve EMS thru collaborative works and partnership from dedicated EMS people around Asia. This year, the 5th AAEMS or EMS Asia conference is held in Davao City, Philippines. It paved way to uplift the spirit of the Filipino people and be inspired of the accomplishments of our neighboring countries. It opened the eyes and made a big impact in uniting the EMS people not only in the country but also around Asia. Philippines, also, had a fair share of accomplishments and innovations that was shared during the conference. This year, Davao City is the main host of the event thru the Department of Emergency Medicine of Southern Philippines Medical Center. Did you carried out an intervention during the exhibition and, in case, what was it about? 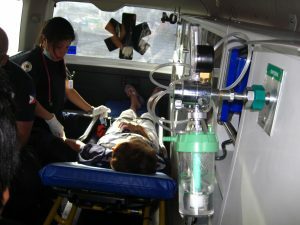 In the Philippines have always been a complex emergency service reality: each EMS group has its personal guidelines and the service is not organized. There is a lack of a common emergency law. But something has changed right? Can you explain what is the situation right now and which are the improvement? 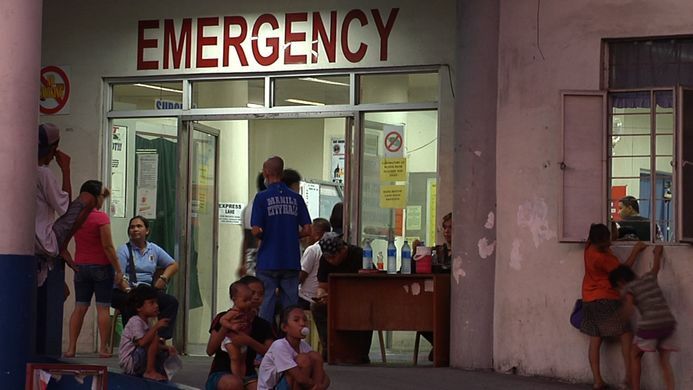 “The emergency medical services in the country are an example of an organized chaos. Organized because each has its own system but chaotic because it is still somewhat fragmented and inconsistent. Despite the inconsistency and fragmentation, what we can really be proud of is that there will be someone and somehow who will respond to a call in an efficient way. That is one of the good Filipino characteristic, to help out whenever, whoever and wherever. However, we will not be stagnant to have that fragmented and inconsistent system. We are moving towards a unified system. Having one standard. Right now, we have a national emergency number. We already adopted the 911 number. So our countrymen now can just dial 911 and the call taker or dispatcher will coordinate with the appropriate responding team or EMS team. What was happening before is that you have to know the local emergency number before you can get for help. With regards to the law, we still do not have an EMSS law. However, local government has already started and supported putting up an EMS system in their own locality. What about the training of EMTs in the Philippines? What have been the improvements during these years? There are several training centers that offers EMT training in the country. Having said that, different standards or curriculum are being implemented. Although there are institutions that provides high standards of training, there are still others that do not. 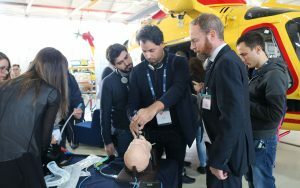 Over the years, our college has been helping the EMS community by giving out continues professional development by giving workshops and trainings related to EMS. 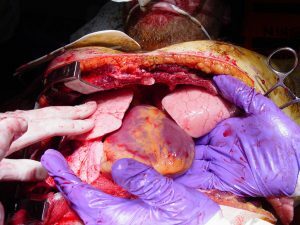 Some of the EMT curriculum being offered in the country is internationally accepted. I must say some if not majority of the EMT produced by the country is globally competitive. The goal of the college is to have one standard curriculum for EMT, be it adapting an existing or formulating or developing a new one, so as to provide same emergency care all throughout the country. Another goal of the college is to have the curriculum implemented nationwide. A curriculum that is aligned to the practice of emergency medicine physician locally. In terms of standardized training, we already have a standard BLS curriculum under Philippine Heart Association, Department of Health and American Heart Association and ambulance care assistant (ACA) curriculum under TESDA (Technical Education Skills Development Authority). Right now, when we talk about EMS education in general, PCEM is very active in providing EMS leadership and medical director’s workshop. The objective of this training is to develop EMS leaders and medical directors that will become the future leaders of EMS. 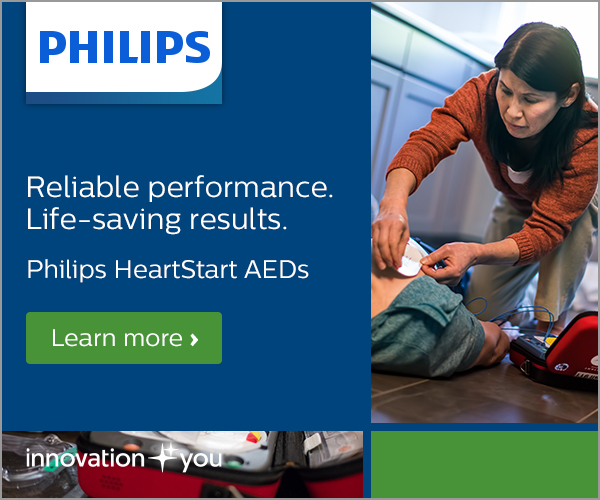 What will be the next steps of Philippines EMS improvement? Let me answer that in PCEM’s perspective. The Philippine College of Emergency Medicine (PCEM) is the sole governing body of emergency physicians and the practice of Emergency Medicine in the country. PCEM’s commitment is to lead and guide EMS in the country by developing a globally competent EMS framework or system which will render better emergency health services to the Filipino community. The college will remain to work in collaboration with the government and other affiliated agencies to share its expertise, welcome ideas and create solutions in improving the EMS system of our country. To be globally competent, international standards will be followed and applied accordingly to our local scenario. PCEM will continue to upgrade and support international standards in EMS through local adaptation. As part of ASEAN integration, PCEM will support the goals and objectives of ASEAN counterparts in EMS. The PCEM-certified Emergency Physicians can provide and will continue giving medical oversight, create standardized protocols, aide in making policies, and develop standardized training programs in the field of EMS. PCEM will also support EMS related activities that involve pre-hospital care. As a show of support, PCEM has been hosting (together with partners, LGUs and hospitals) the celebration of EMS week for the past years. The goal in which, is to provide free medical education/workshops and to share global/local updates in EMS. Aside from continuous medical education, a big part of the celebration is to involve the community and to promote camaraderie. Through events like this, we can help the public understand what EMS is all about and let them know how they can help and support EMS in our country. PCEM will still continue to push for the EMSS bill to protect the EMS professionals and to create an efficient Emergency Medical Services System in compassionate and equitable service for the Filipino people.